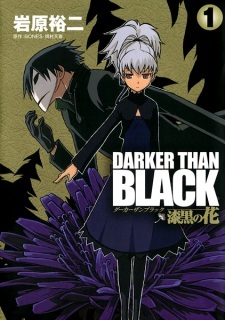 Taking place after the events of Darker than Black, Hei (BK201) and Yin return to Tokyo to investigate how a Black Dandelion is granting Contractor-like powers to people who come in contact with it. After rewatching DtB and Gaiden the last few days, and being horribly disappointed with how Gaiden ended and the overall terrible plot line it has, I was super excited to find this. I was prepared to be in a semi-depressed slump at how badly the series finishes up, especially as I had no interest in rewatching the mess that is season 2. But after finding this and reading the reviews I decided to give it a shot. So, so glad I did. This was an excellent way to finish my experience with Darker than Black. Great story, fun new characters, small horror sub-genre, and provided closure even if the ending was a little open-ended. The art is good, the action scenes are easy to follow, the characters are well done, the story is definitely enjoyable, and the plot was interesting. There is some... typical anime over dramatization at the end, which definitely loses a point from me. Buuut easily overlooked with how well done everything else was. And there's some nice interactions between Hei and Yin if you care about that. All in all, a great read. Definitely considering this the real "epilogue" to how season 1 ended. Since this manga has only one review I feel like I have to join in! Basically, if you were kind of weirded out by the second season of Darker than Black, then just come and read this manga, and pretend it is the second season instead. The artist is the character designer from the show's first season, and his style is pretty neat. However, if you really go for the by-the-book standard style of drawing, then it might weird you out a little bit. Either way, reading it is pretty much the same as watching the show, so I can't help but like it. This is going to be a really short review given that the series hasn't even ended yet, and i'm not going to put any explicit spoilers in this. In reviewing this manga, I took the first and second seasons of the anime as standards. If you liked the first season of Darker than Black, you'll like this. The story flows directly from the events happening at the end of the first season, and the feel of it is extremely similar to that of the first season. Although slightly confusing, leaving you with the sense that you don't quite get what is going on, I think that is synonymous with Darker than Black. In addition, the story is not split up into short, disjunctive arcs like in the first season, which i think is a plus point. Some characters from the first season are also neatly tied in and reintroduced into the storyline. Humorous moments are still present, although less so than in the first season, but more than the second. Not to mention that it has its share of deaths as well. I like the style of drawing. This is subjective, so nothing much to add. If you're not into sharp and distinct lines and dark backgrounds, this is probably not your thing. In terms of character development, there has so far been less of this than in the first season, but this could be because few important new characters have been introduced. In terms of the personality of the characters, Hei's and Yin's remains relatively unchanged from that of the first season, which I greatly appreciate. I like Hei's semi-serious style. Definitely enjoyable. Enough said. But there is quite a long wait (about a month) in between chapters which may hamper your enjoyment a bit. Why is this referred to as a replacement for Gemini? Do you love mysteries, puzzles and ‘whodunit’ anime? Check out our collection of the Top 15 Best Mystery anime below and see if your favorite mystery anime made it on the list!